Are you looking for a new and fun way to learn American English? Come hang out with Lindsay and Michelle from Boston and New York City and have fun while you improve your English listening skills! 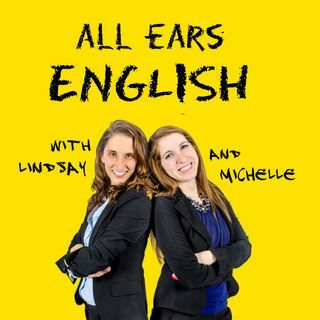 All Ears English is an English as a Second Language (ESL) podcast for intermediate to advanced learners around the world. We will show you how to use everyday vocabulary and natural idioms, expressions, and phrasal verbs and how to make small talk in American English. We will also give you special ... Maggiori informazioni tips on American culture, customs, etiquette, and how to speak with Americans as well as conversation and commentary on study tips, life in America and Boston, how to apply to university in the US, dating, travel, food and more. You'll get TOEFL, IELTS, and TOEIC help also from our IELTS and test expert Jessica Beck. This podcast is for adult students who are professionals and university students as well as ESL teachers. Join our community to learn to speak American English like a native! Connection NOT Perfection!